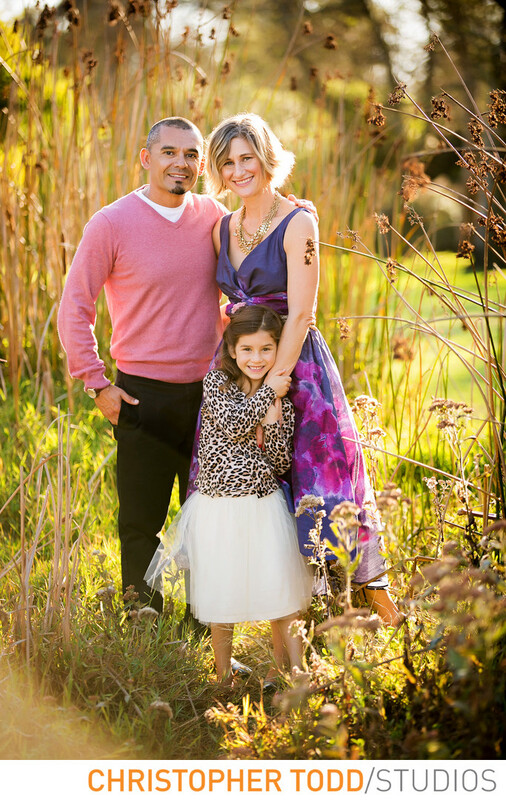 Photographing families in Orange County is what we love to do. We know all too well kids grow up so fast. That is why it is so important to get professional portraits of your family. If you live in the OC you might know that Central Park in Huntington Beach has a great public library. But it is also one of the most beautiful parks in Orange County. Perfect for your family photo session. This sweet little girl and her mom and dad wore colorful outfits that really showed their personality. Fall is one of the best times for updating your photos. We would love to talk and find out about you and your loved ones. 1/200; f/2.8; ISO 100; 125.0 mm.